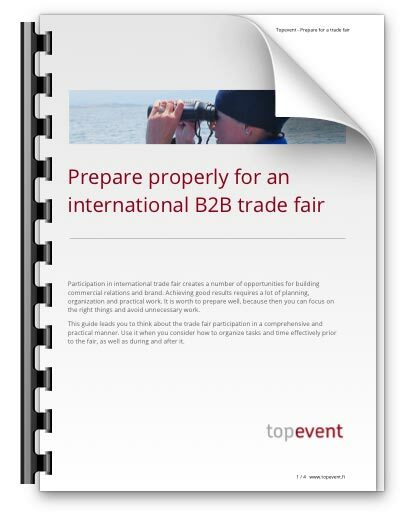 International B2B trade fair participation requires a lot of planning and coordination prior to the event. 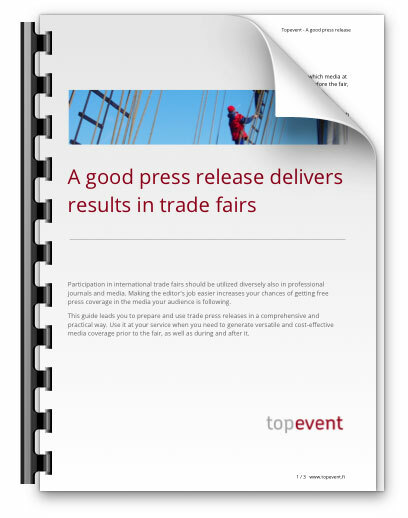 Although a well-planned is half done, co-ordination and practical solutions are also needed locally on the ground – along the stand construction, other organizing tasks like additional events, as well as afterwards along dismantling and possible storage of the stand items. A systematic after-care is an integral part of the exhibition project. Thus the results obtained and the lessons are valuable, so they should not be untapped or wasted. Exhibition arrangements are often taken care of besides the regular work tasks. Therefore, even professionals might find themselves in a hurry. The focus and schedules will remain in control when own resources are supported flexibly when necessary by one-stop-shop fair services. This way you can concentrate on the essentials and leave the time-consuming tasks for the care of quality and result focused professional.